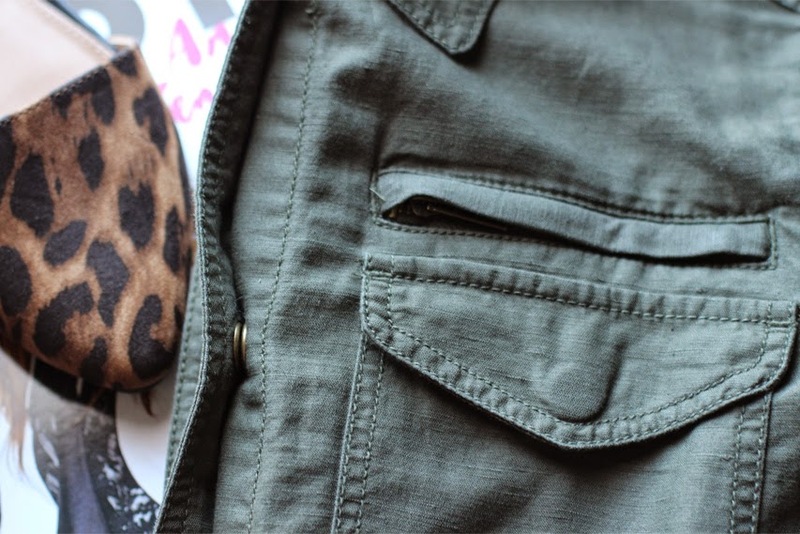 Cheetah + Army Green — Striped Intentions / a life and style blog. I bought new things! I've been on a huge shopping kick lately and my bank account knows it. Details of two of my favorites are featured above: the City Jacket from LOFT is awesome. It's essentially a glorified button up with a bunch of pockets and a zipper. It's light weight and color make it the perfect layering piece for the Spring. I've owned it for five days and worn it twice already. You need it. These d'orsay flats are from Charming Charlie and I found them in a big pile and marked down to $10. I foolishly forgot to photograph the cute buckle detailing on the back, but that between that particular and the cheetah print-- I'm so sold. They're not on the website so you'll have to check your local stores, but here's two cute (but more expensive) options for those of you craving a little d'orsay cheetah action. That's what's new in for me! What have you found recently?